The district of Morden lies southwest of London, which means it is in prime location for easy access to and around the inner city. Whether you’re a professional seeking corporate transport for your clients or employees, a family looking for a spacious ride to the airport or an individual that needs a minicab for getting around town, look no further than ClockTower Cars. Morden itself plays host to a number of historical landmarks that makes it a great place to visit for a day out with the family or as a couple. The largest mosque in Western Europe is in Morden, accommodating an impressive 10,000 worshippers. Morden Hall Park is another key feature of the area, a National Park with large period buildings and a rose garden that attracts many visitors. Our impressive service is consistent, and we offer minicab services at rates that are financially appealing to all of our clients, whether your journey sees you just around the corner or much further. It isn’t only our rates that are competitive, however. We also offer an unbeatable level of customer care. Our drivers maintain a personable and friendly approach when undertaking chauffeuring services, both leisurely and professional. We strive to keep our clients from the beginning of the booking process until the end of their journey. Sometimes, getting to where you need to be via public transport can be time consuming and stressful. 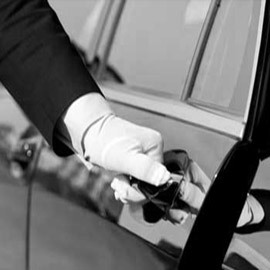 We offer a car service that you can count on, with first rate drivers that will give you an exceptional experience no matter what time of day or night you book with us. Each one of our vehicles has high-quality upholstery and is fitted with climate control to make sure our passengers are comfortable whatever the weather. All of our cars are licensed in line with local authority guidelines, and we only work with experienced and qualified drivers who have passed an enhanced DBS check. 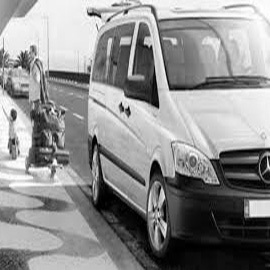 Our fleet contains vehicles for private hire that are suitable for airport transfers, taxi services and school runs, as well as a number of wheelchair accessible cars. Booking online or through our free app is easy and gives you the opportunity to pay securely by card. Alternatively, speak to a member of our team on the telephone and they’ll be happy to assist you with any queries or concerns you may have. Our customer service stands for attention, punctuality and availability. 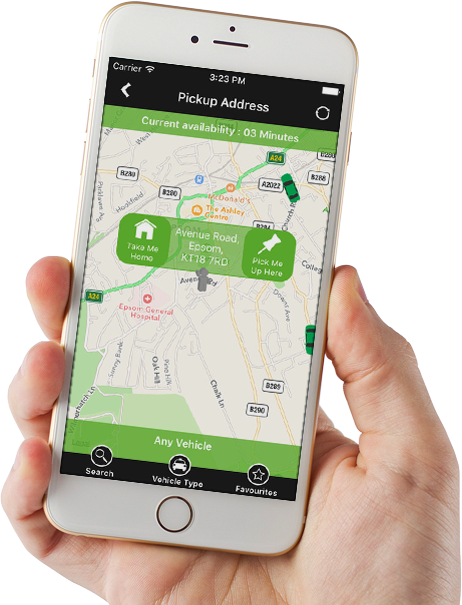 You can easily book with us via our free app, by calling 0208 330 1234 or by clicking here. I’ve used ClockTower for years now and I wouldn’t ever consider using another firm. They have everything I need when it comes to service and type of vehicle. Fixed rates, comfortable cars and drivers that care. What more do you need?